NOTE: The dates I’m using regarding the Little Ice Age (LIA) in this series are approximate. However, all are CE. Researchers’ conclusions regarding what happened when and where differ. Only last year was definitive proof available that the Little Ice Age had extended as far south as the Patagonian region of Chile. Jorge Montt Glacier, Southern Patagonian ice field. 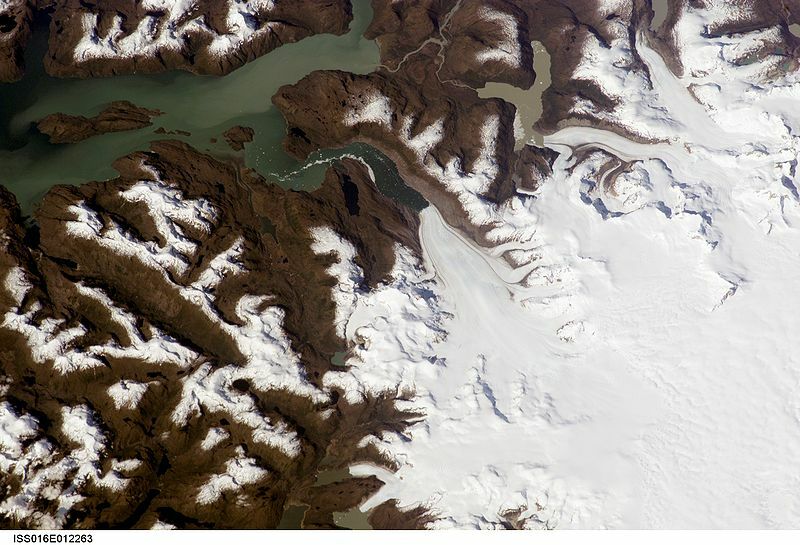 A team of scientists studied tree rings from old trees recently exposed by the retreat of the Patagonian glaciers and radiocarbon dated sample from the trees. The dating showed the trees had been iced-over between the mid 1500s and mid 1700s as part of the Little Ice Age glaciation. The Earth is currently in an interglacial period, meaning that the last significant glacier scraped its way down from the North Pole about 14,000 years ago and receded about 10,000 years ago. In northeastern Ohio, it traveled as far south as the Canton area, where warmer temperatures caused it to melt and begin its retreat. At some point during the Middle Ages, glaciers began expanding and creeping southward. Radiocarbon dating of dead plants established glacial advances as early as 1275 CE. Summers became wet and cold, causing the African Niger River to flood. Winters brought unprecedented depths of snow, even in Africa and South America. In Europe and the Americas, torrential rainfall and cooler temperatures destroyed crops. In 1315, famine spread in Europe, causing horrific deaths, diseases and cannibalism. Additionally, the sparsity of plants drove animals to forage closer to humans, bringing their plague-infested fleas right into centers of population. The Black Death spread from Asia to the Middle East to Europe and to Africa, wiping out half of Europe’s population and significant numbers of other populations. Famine and plagues led to social unrest across the globe, weakening the Mongol hold over China and thus enabling the Chinese to overthrow the Mongol Dynasty. In Europe, the nobility fought desperately to extinguish the Peasant Revolt. Though the revolt failed, so many of the peasant class had died from famine and plague that the nobility were forced to work their own land with their own hands, thus weakening the feudal system. During the time of “the great frost” on North American shores, the ice on Lake Superior didn’t melt until June. In 1780, New York Harbor froze, letting people walk from Manhattan to Staten Island. In 1815, Mt. 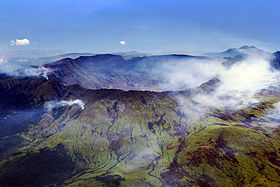 Tambora erupted, further cooling the planet. 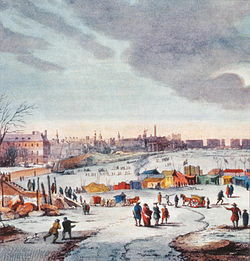 In 1816, “The Year without a Summer,” Quebec had a foot of snow in June. 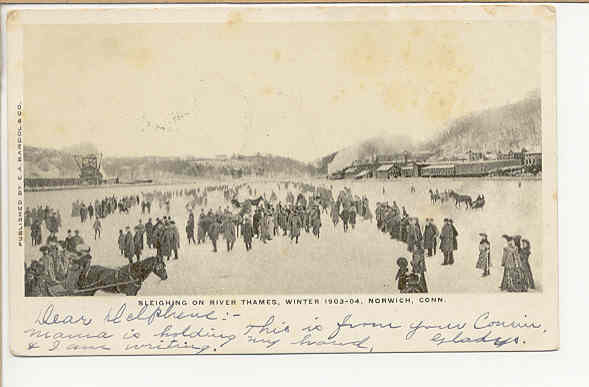 As this postcard shows, incidents in the early 20th Century bore witness to the lingering effects of the Little Ice Age. Coming up: Causes of the prolonged Little Ice Age.